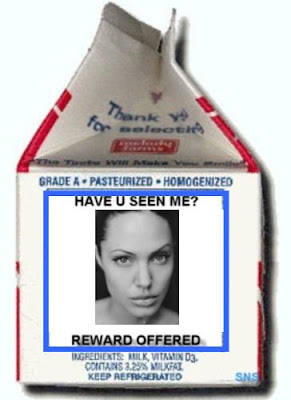 Angelina Jolie to be Kidnapped? You almost got away with it, Jennifer Aniston! Curses! Foiled again! Angelina Jolie Gets "The Rachel"
If Angelina Jolie is Pregnant I'm Gonna Be Pissed.